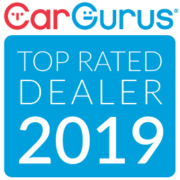 Prestige Motors is excited to share that we’ve been named a 2019 CarGurus Top Rated Dealer! Our dealership is committed to providing exceptional customer service and we are proud to be recognized for it. A big thank you to all of our amazing customers who took the time to share their experience with us – we couldn’t have done this without you. When you’re in the market for a new vehicle, keep Prestige Motors in mind. We’d love the opportunity to provide you with some of our award-winning customer service. Prestige Motors has been selected for the 2018 Best Car Dealership Award in the Automotive category by the Sacramento A-List Award Program. The Sacramento A-List features more than 11,820 businesses competing for title of Sacramento’s best. 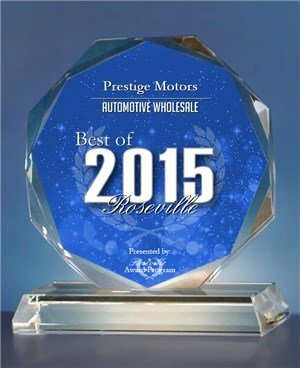 Prestige Motors Receives 2015 Best of Roseville Award for Best Car Dealership in the Automotive Category. Prestige Motors has been selected for the 2015 Best of Roseville Award in the Automotive category by the Roseville Award Program. Each year, the Roseville Award Program identifies companies that we believe have achieved exceptional marketing success in their local community and business category. These are local companies that enhance the positive image of small business through service to their customers and our community. These exceptional companies help make the Roseville area a great place to live, work and play. Various sources of information were gathered and analyzed to choose the winners in each category. The 2015 Roseville Award Program focuses on quality, not quantity. Winners are determined based on the information gathered both internally by the Roseville Award Program and data provided by third parties.